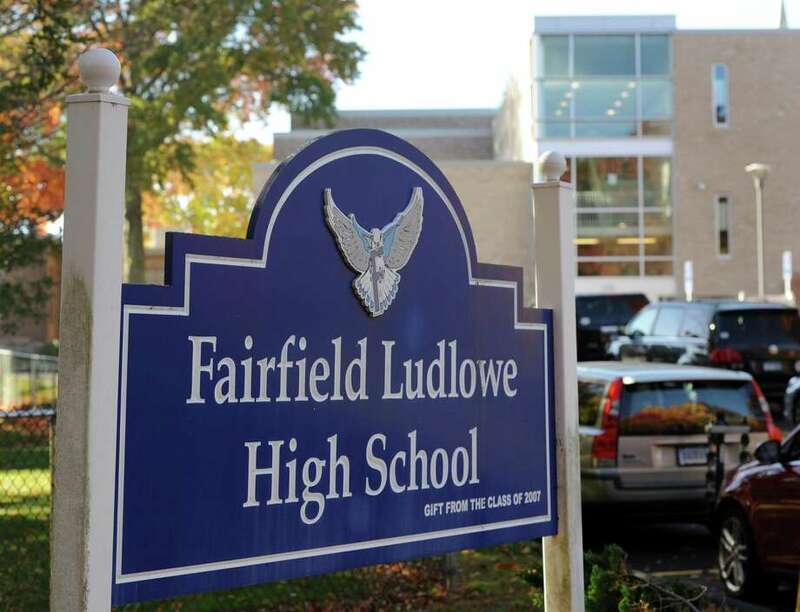 Fairfield Ludlowe High School 785 Unquowa Rd, Fairfield, Conn.
FAIRFIELD — A Fairfield Ludlowe High School student is suing a teacher and the town, alleging she suffered injuries after a teacher threw a book that hit her head. Sinead Klik and her mother, Sara Darcy Klik, have requested $15,000 or more in damages in the suit filed last month in state Superior Court in Bridgeport. The Board of Education and Ludlowe Headmaster Greg Hatzis are also named as defendants. In the complaint, Sinead claims Ludlowe teacher Mary LaPierre-Grasso threw a Spanish book, striking her in the head. According to court documents, the incident took place on Sept. 30, 2016, at around 1:40 p.m.
Sinead, then 17, was in Spanish class, “when she was, suddenly and without warning, struck in the head by a Spanish dictionary/book that was thrown across the classroom by the defendant, Mary LaPierre-Grasso,” the lawsuit states. As a result, Sinead sustained several injuries — including head and brain injury, concussions, neck pain and migraine headaches — causing considerable medical treatment and expenses, according to the lawsuit. “As a further result of the negligence and carelessness of the defendants, the plaintiff incurred considerable expenses for medical treatment, hospital treatment, diagnostic testing, evaulations, therapy and medicines and may be obliged to do so in the future,” the suit reads. The lawsuit also alleges the Board of Education and Hatzis failed to monitor school personnel to ensure their conduct would not harm students. Superintendent Toni Jones said the event was accidental. Fairfield Public Schools Human Resources confirmed LaPierre-Grasso is currently employed as a world languages teacher at Ludlowe. It is unclear in the lawsuit if Sinead continues to attend the high school. As of press time Friday recently elected Board of Education Chairman Christine Vitale, LaPierre-Grasso and Hatzis did not respond to a request for comment. Sinead and Sara Darcy Klik, as well as their attorney Stephanie Roberge, were also unavailable for comment. First Selectman Michael Tetreau declined to comment, citing the case was pending litigation. The attorney for the defendants, Robert Lotty, filed a motion for an extension, which was granted, giving the defendants until Dec. 22 to respond. *Correction: The previous headline on this story, ‘Lawsuit claims Ludlowe teacher threw book at student’s head,’ was edited to clarify the lawsuit does not indicate whether the thrown book was intentionally aimed at the student.